While it may be tempting to put off garage door repairs for now when your door is still able to open and close even if it’s slow, noisy, or otherwise, it’s best to get things taken care of as quickly as possible. The longer it goes without being fixed, the worse the damage becomes. It can even lead to your door refusing to work altogether and leaving you stuck! Rather than deal with it suddenly becoming inoperable, why not tend to it sooner? The rollers located in the tracks of your garage door’s system are what help it slide along the track to open and close. Unfortunately, over time they can become rusted or too worn, which creates a problem with your door being able to slip along as smoothly as it once did. Our professionals can inspect the rollers to either repair or replace them if needed so your door will be able to move along without issue again! Without the springs, your garage door wouldn’t be going anywhere! They’re what lifts it thanks to the energy they store. If you’ve noticed that your door is struggling to open lately, the problem may be with the springs. Whichever type, we can get them replaced in no time so you can get on with your schedule! Accidents happen, and they may have left your garage door’s panels looking worse for wear. Don’t worry! We can repair or replace your panel with the proper size and color to get your door looking picture perfect again. Whether it’s a small crack, or a large dent, it’ll be like it was never there once we’re through with it. 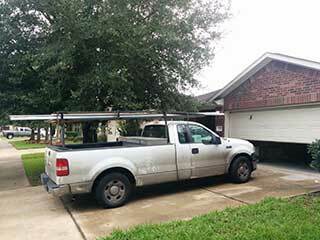 Why deal with a garage door that isn’t working as it’s meant to when you can get it fixed up in no time? Call Garage Door Repair Waltham now so we can set you up with an appointment that suits your schedule. You won’t regret it!